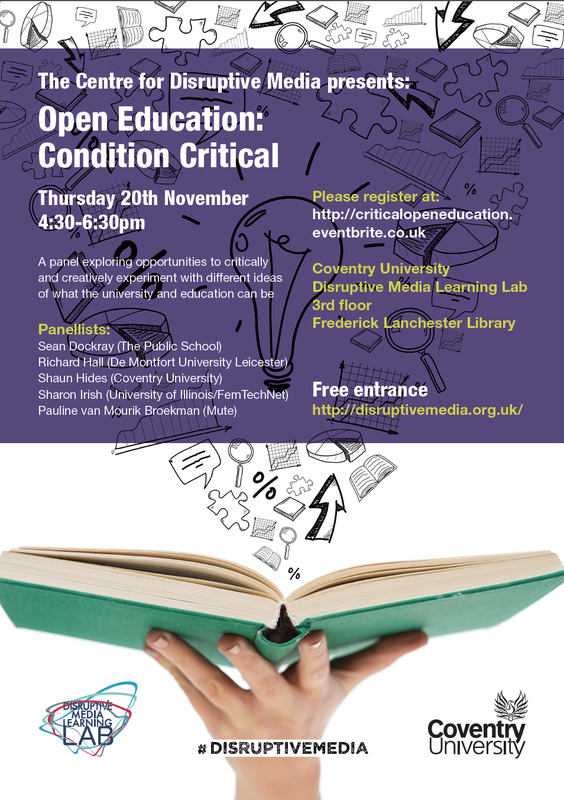 To coincide with the publication of Open Education: A Study in Disruption, we organised a panel discussion on Open Education: Condition Critical, last October. The video recording of this panel is now online, and you can find it on our YouTube channel or embedded underneath. The video includes presentations by Sean Dockray, Pauline van Mourik Broekman, Shaun Hides, Richard Hall and Sharon Irish. For more information on the panel, please see here.